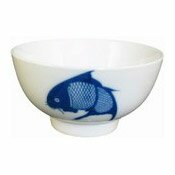 Description: Small rice bowl in attractive blue fish pattern. Matching spoons and side dishes also available. Simply enter your details below and we will send you an e-mail when “11cm Rice Bowl (Fish Pattern) (4.5寸藍魚飯碗)” is back in stock!